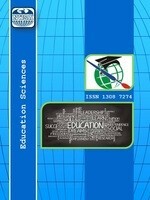 Education Sciences is an international peer-reviewed e-journal. It is one of the sub-series of NWSA Academic Journals and it has ISSN 1308-7274. NWSA Academic Journals is a member of PILA (The Publishers International Linking Association). The journal’s DOI number is 10.12739. Also, NWSA has a trademark registration certificate since 2013. Education Sciences gives place to interesting application, research and survey studies together with original scienctific research consisting of collections and translations in such scientific branches as Profession of Social Area Teaching Sciences; Kindergarten Teaching, Primary Teaching, Primary Teaching, social Knowledge Teaching, History Teaching, Turkish Teaching, Turkish Languege and Literature Teaching, Nursery School Education Teaching, Hyper Intelligences Teaching, Mental with Obstacles Teaching, Geograpy Teaching, Infantile Evolution and Education, Religion Culture and Morality Knowledge Teaching, Philosophy Group Teaching, Seeing with Obstacles Teaching, Primary Education Math Teaching, Hearing with Obstacles Teaching, Guidance and Psychological Consultancy, Profession of Sciences Area Teaching Sciences; Computer and Psychological Teaching, Sciences Knowledge Teaching, Physics Teaching, Biology Teaching, Chemical Teaching, Mathematics Teaching, Education Sciences; Psychological Serves in Education, Education Programs, Culturel Basics of Edducation Management and Politics under the main title of education sciences. Education Sciences is open to any kind of constructive, creative and innovative opinions providing that they contribute to universal sciences and technology. It is quarterly (January, April, July and October) and it accepts essays written in Turkish, German, English and French.